Call your Dealer Advisor today! Start a Concrete Business with the Easiest Business to Start! CTi has been helping small business people like you succeed for more than 25 years. 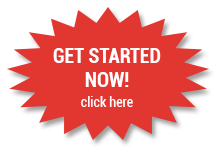 We provide all the tools to quickly get started without charging franchise fees, royalties or other costs. That means you will keep 100% of the money your business earns. We ensure your start-up business is a success! If you are looking into starting a concrete business, CTi is the easiest business to start. We provide training from the moment you want to start your own business and we will continue to provide support throughout the process. CTi has grown over 900% since we started because we are constantly looking for the right people to distribute our products and provide excellent service to people in their area. We are searching for those who are interested in starting their own concrete business that represents the CTi product line. With the CTi business model, this is truly the easiest business to start. This business model is extremely accurate and helpful, basically insuring a small business owner’s success. We love our product and we know others will too! Not only do we want to provide an excellent product, but we also have a passion for helping entrepreneurs to reach their small business dreams. We know how hard it can be to start up your own business. We’ve already been through it, so we put together our CTi business model so you can skip many of the bumps and turns from the beginning. With CTI, you can provide your customers with everything from simple...to spectacular!